Home How to How to take screenshot on Android 4.0 ICS Samsung Galaxy S2? 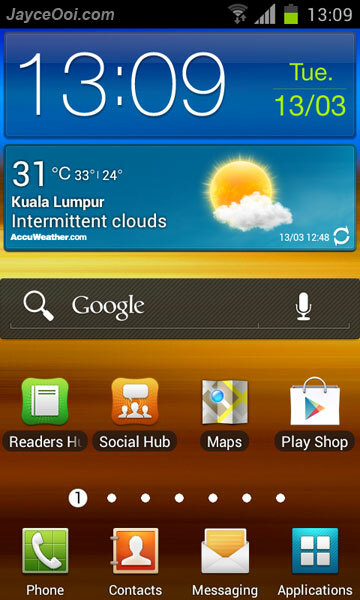 How to take screenshot on Android 4.0 ICS Samsung Galaxy S2? How to take screenshot on Android 4.0 Ice Cream Sandwich Samsung Galaxy S II? Yup, that’s the question you will ask when you still using the old method to take screenshot like on Android 2.3.x Gingerbread Samsung Galaxy S2. No worry, the screenshot function is still there. But it is not the same as it follows Samsung Galaxy Nexus which don’t have Home button. Just press Volume Down + Power Buttons at the same time to take screenshot on Android 4.0 ICS. The screenshot will be added to /sdcard/Pictures/Screenshots folder then. Update – Look like Samsung disabled default Android 4.0 ICS screenshot shortcut function on some firmware. Change back to Press and hold Home + Power buttons at the same time for 2 seconds to take screenshot. How to take screenshot on Android TV Box? How to play Tegra, Snapdragon & PowerVR games on Samsung Galaxy S2? How to take Honor 5X screenshot? ….i’m use sgs2.what problem my app can’t be move on to sd card? And same time,come out unable to move. Which firmware and Android version are you using now? i’m using firmware xxlpq,android version 4.0.3 ics.what problem jayce? Not sure what went wrong. Did you root it with CF-Root? yes im root it with cf-root already.i more problem,app couldn’t install on usb storage and sd card.what went wrong? Hello Jayce, thanks for the tips on how to upgrade my SGS II from Gingerbread 2.3.3 to Ice Cream Sandwich 4.0.3. However after upgrade I face issue with screen capture, even using the above mentioned method does not help. 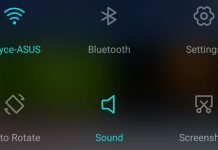 It only reduces or increases ringer volume no matter I press volume up/down + Power button; or Power button + Volume up/down. Could you help on this? Thanks!! Good that you can make it after several trials where I have not succeeded at all. In that case, maybe I’ll just get myself a screenshot apps on Google Play. Thanks for the fast reply! You need to jold the buttons for half a second, its not enough to just quickly press them. Press both at the same time and hold down for a short while and you will hear the shuttersound, or atleast thats what i did. Hi, I m facing the same prob, but after calling to samsung, they ask me to try vol down + power + home key or power + home and i manage to take screen shot by pressing home + power at the same time. Were not working like before By pressing home then power.. The way it works now is by holding home AND power keys TOGETHER and holding for 2 seconds.. Then you will see the screen flash and hear shutter..
omg.. thankyou so muchhh jason. i couldnt figure out how to take the screen shot. tried everything man! I was disappoinged after updating from gingerbread cuz i couldnt take screen shots. tried all kind of volume, power and home key combos. I also tried the same method with home+power, press at the same time and hold for half a second and it takes a screenshot. exactly . it works perfect when u press both home and power button together on ICX !!! i cud easily take as many screen shots without any issues at all!!! Taking a screen shot on ICS is harder compared to GB. I am running ICS 4.0.3 XXLPR but I am not able to take screen shots by above mentioned method. Can you please help me with this?? Sorry, Satish. Didn’t try XXLPR firmware. No idea. Hi , i face today a big problem . i use ics 4.0.3 xxlpq . but today morning my galaxy s2 display color low quality . what can i do now .my phn display color look horror style and spiea color . pls suggest what can i do . in samsung care is too far in my area . pls help i m worried. Hi Mahabub, you can’t use Odin now? So , now What can i need to do ? please say anything , how can i solve this problem ? You didn’t answer my question. Can you still use Odin to install firmware? I try two time odin install but not succesed .odin say fail ..
My phone color and install programme via odin failed . odin install firmware failed . Sorry mahabub, can’t do much if you fail to install firmware with Odin. Thank You, I was playing with my phone in the car the other day and managed to take a screen shot by accident (didn’t now it could do that) it was driving me nuts as to how I did it. Thank you again for putting me out of my misery and self imposed torture. I think the best word should be press and hold. Why i still can not screen capture as you mentioned? I use Galaxy S2 GT-I9100, version 4.0.3, Baseband I9100XXLPQ. Please help me…!! I really need your help on this. Hi Bunna, I am also not so sure. Please consult Samsung Support if still cannot. My screen capture isn’t working either and I’m same as above. When I try it just turns down the volume and goes to task manager now. Heyy try this POWER BUTTON+HOME+BACK KEY, it worked forb me!!!! Hey home + power works..more more more efficiently than that of gingerbread. Update- after screenahot it shows saving n notification shows..
i tried all the above methods mentioned but wasnt able to take screen shot , later tried this POWER BUTTON+HOME+BACK KEY, it worked!!!! I just updated my S2 from Gingerbread to Ice Cream Sandwich 4.0 and i can still screenshot with home + power button (press & hold at the same time) although some said after ICS update samsung has disable this function. To take a screen shot but none of them seem to work. Any ideas? Hi David, please consult Samsung Support in this case. HOME+POWER+VOL DOWN all at the exact same time. It took a few tries, but eventually I got it. thank you! i was pressing home, then power….might have even pressed them at the same time, but not for a longer period of time. i am very thankful for this post! hey, i just tried both of the ways to take a screenshot and none of them worked. I just updated to ics yesterday but holding down the power and volume down doesn’t work. It does on the gs2’s with the huge square button on the bottom in the middle, but not on the gs2’s with the 4 equal buttons on the bottom…any advice? Hi Annie, please consult Samsung Support in this case. Jayce, Thanks so much for your ridiculously prompt response! You rock my socks with that!!! I ended up figuring it out through readin all of the above forum. My particular phone is HOME+POWER+VOL DOWN all at the exact same time. It took a few tries, but eventually I got it. Hopefully this helps everyone else who can’t seem to do it on their phone. Thanks again, you are awesome! Thanks! I was wondering with my ICS 4.0.3 device and just did POWER + VOL DOWN and it worked great. Super helpful. HOME+POWER+VOL DOWN just gets me a screenshot also showing the volume slider. Not exactly what I’m going for. Other combinations either get the Task Manager or the Silent Mode. etc screen. Really efficient. Here’s a workaround: when I need to get a shot of a screen on my S2, I’ll take a picture of it with my iPhone. Seriously. I have a Galaxy S2 running Android 4.0.4. The screen capture work just fine for me when I hit the “home” and “power” buttons, but then when it tries to save the screen capture I get and error message that says: “Couldn’t save screenshot. Storage may be in use.” Any idea what this means? Hi Fernando, try to reboot your phone and try again. I upgraded to ICS 4.0.4 i9100GXXLPV, but am unable to take the screen shots either by pressing HOME+POWER or VOL DOWN+POWER. Can u pls help me. Thanks. Hi Mian, please consult Samsung Support in this case. Jayce can you help me ? Im using samsung galaxys2 .. My android is 4.0.3 .. I cant screencapture . The problem is the phone said the ‘sclib’ was not suppored.. I go to screencapturelibrary .. Their ask me to download again .. But how to download it again ? how could i fix the problem? Hi Armand, try to factory reset see.